What is Chiropractic Cold Laser Therapy? Cold Laser is Safe & Painless. 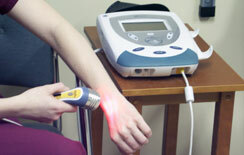 A chiropractic laser stimulates and speeds the repair and healing of an injury or wound. As the laser beams painlessly penetrate the skin, healing energy is issued into the tissue, supporting our body’s natural method of healing itself. 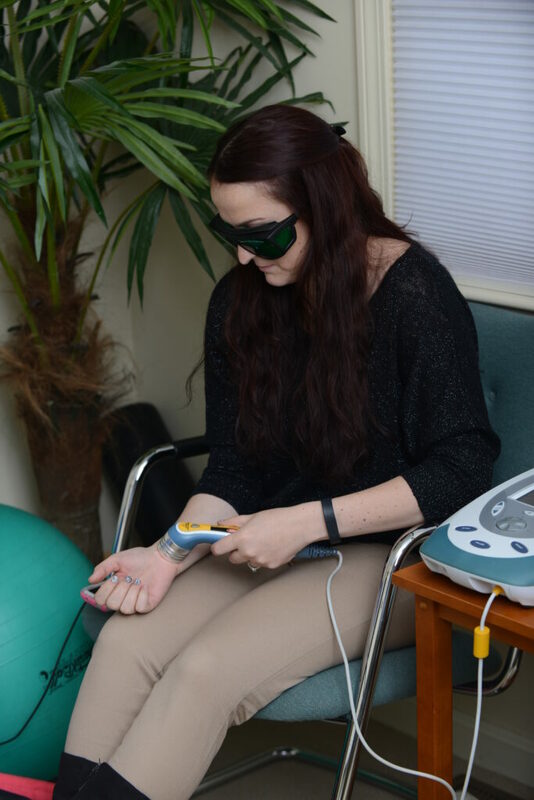 Among the many uses of Chiropractic Cold Laser Therapy is effective treatment and pain relief of soft tissue wounds, inflammation of joints and nerve regeneration. While surgery is invasive and drugs are accompanied by side effects, Cold Laser Therapy offers superior healing and pain relief benefits with no downside. It is completely safe, painless and free of side effects. A series of treatments will likely be necessary. Dr. Dohoney will assess your condition and recommend a treatment schedule based on the degree of damage, inflammation and pain you may be experiencing. At the Pain Relief Center here in Nashua, NH, we strongly believe it is to the patient’s benefit to support, boost and work with the body’s natural ability to heal. If you’re seeking the benefits of a physician who heals without use of drugs or surgery, call Dr. Dohoney at 603-886-4500. It is completely safe, painless and free of side effects!